When it comes to boozing it up for the summer, there's nothing more iconic than a 6-pack. It just makes everything feel perfect. Opening up a sixer of cold ones with the boys is about as American Summer as it gets, but what if you're not in the mood for beer and still want that iconic six-pack experience? 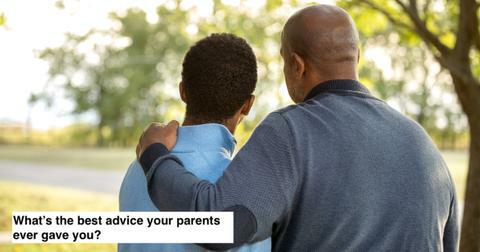 What're you supposed to do? Carry around non-six-packs of stuff like some kind of a savage? No, it just won't do. 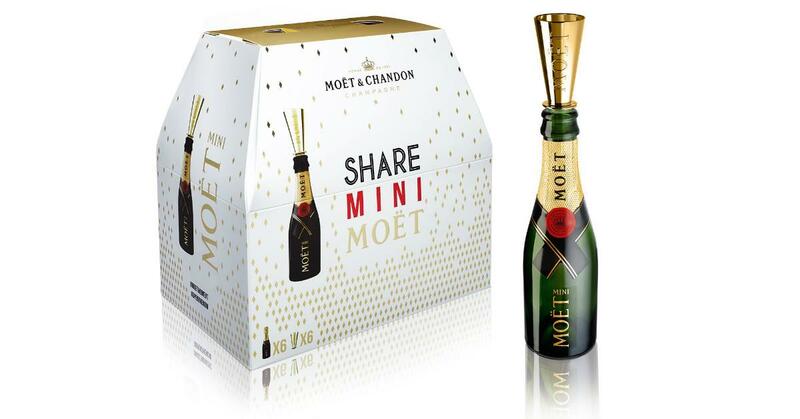 Thankfully, Moet's now offering its champagne in miniature bottle six-packs. Each bottle actually contains a bit more champagne than your typical flute: 187-milliliters to the standard 177. Now these tiny bottles seem perfectly designed to sip from them straight, but if you're the kinda person who disdains drinking from bottles and requires some type of cup to imbibe champagne from, each mini-Moet in the six-pack comes with a tiny golden flute topper. So you can sip in style wherever you may be. This sixer of Moet will run you $100 - about $16.66 a bottle. In Moet's press release, they say that, "This new take on the classic six-pack is the perfect way to elevate any celebration, allowing guests to enjoy their own personal bottle of Champagne."